Yellowstone National Park’s Stephens Creek buffalo trap. Photo by Stephany Seay, Buffalo Field Campaign. Nearly 300 of the country’s last wild buffalo — our National Mammal — have been shipped to slaughter from Yellowstone National Park. 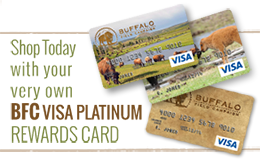 At least another 100 buffalo have been shot and killed by hunters. 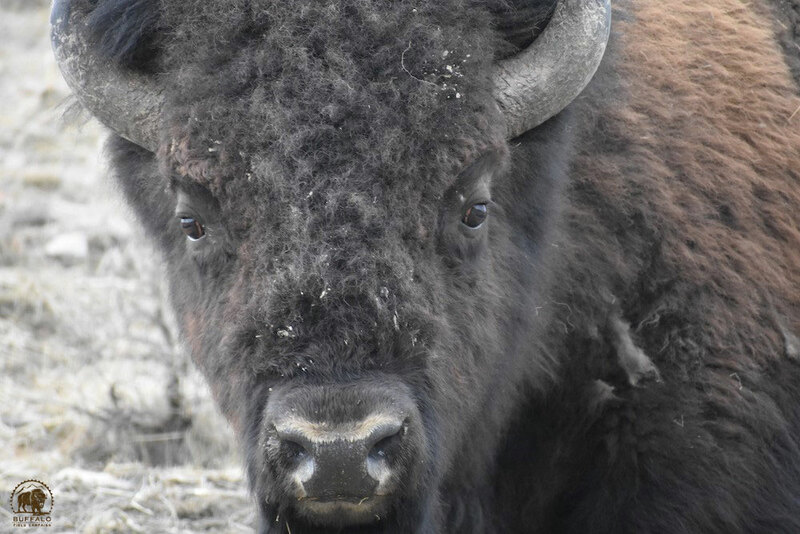 These buffalo deaths have all occurred in the last three weeks in the Gardiner Basin, within and near Yellowstone’s northern boundary. 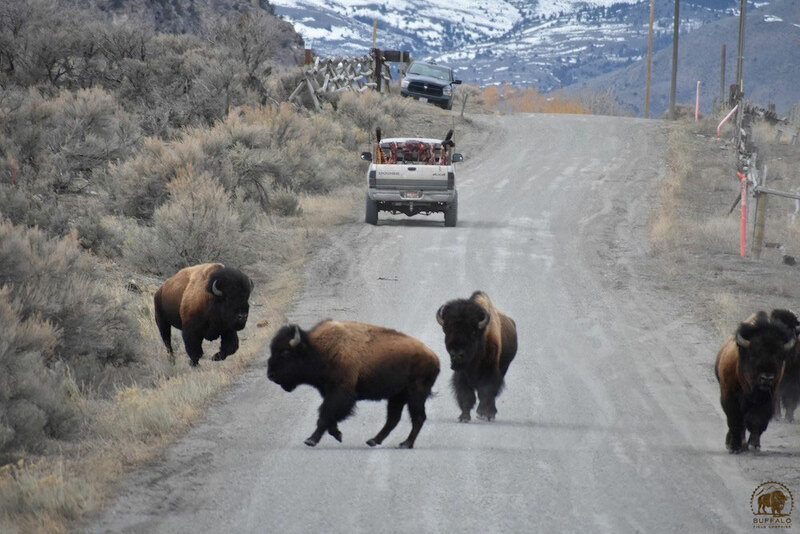 Patrols report that the trap now appears empty, and we have been told by credible sources that Yellowstone does not intend to capture any more buffalo this season. Hunting will also finally draw to a close this coming Sunday, March 31. The start of calving season is just two weeks away. Beattie Gulch area, just outside Yellowstone’s northern boundary. Bulls flee towards the park after being passed by a hunter who’s truck was loaded with buffalo parts. Photo by Stephany Seay, Buffalo Field Campaign. I came over to BFC from Germany in November last year. Right now it is my fourth time in Gardiner this season and the buffalo finally seem to be safe for some time. Trap operations have been suspended for the year, the treaty hunting seasons are about to end and bison are migrating back towards their calving grounds up on Blacktail Plateau so there is time to kick back and enjoy the abundance of wildlife in the Basin. Driving here from basecamp through the beautiful state of Montana makes you realize all the potential that is being wasted by keeping the buffalo pretty much locked up in the park. Around here we still have vast areas not cluttered with human infrastructure and sealed up with asphalt or concrete. I was born in Michigan but I spent over a decade living in Germany where wildlife is a rarity by now and public land is basically nonexistent. Coming back to the US it makes me sad to have seen these gentle giants being gunned down and captured for slaughter when they could be roaming the countryside in their tens of thousands and enriching one of the big open spaces humanity still has left. The eyes are the window to the soul. Photo by Stephany Seay, Buffalo Field Campaign. Likely we will soon be closing our Gardiner camp down. Most of the buffalo who migrated into that Basin are beginning to head south, deeper into the park, towards their calving grounds. Here in the Hebgen Basin, west of Yellowstone, there’s still not a buffalo to be found without having to use a spotting scope. We haven’t been in the company of buffalo here for the entire winter, and now it’s nearly April, with calving season just a few short weeks away. Where are the buffalo? It is the Central herd who migrates into this Basin, and so far, for whatever reason, they have chosen not to. 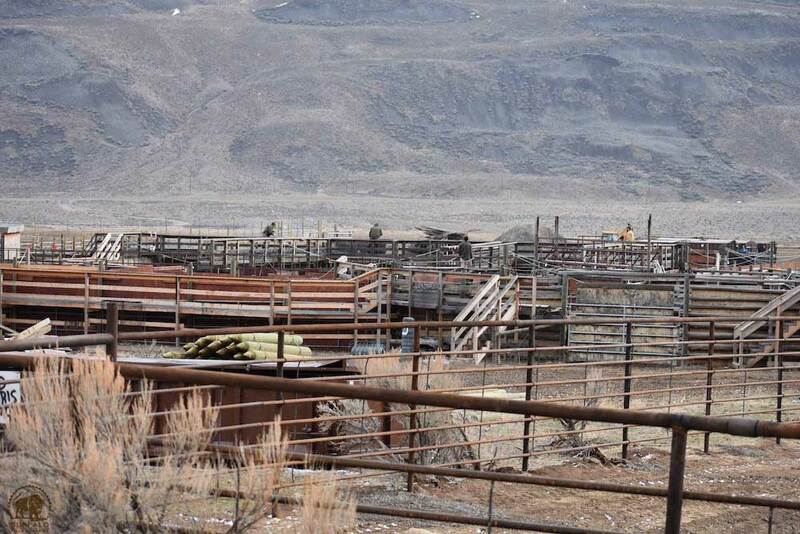 The Central herd also migrates north into the Gardiner Basin where all the capture-for-slaughter and hunting have been taking place this year. Yellowstone and other bison “managers” know the dire straights the Central herd is in, yet they senselessly carry on with indiscriminate killing. They have no idea the damage they are doing. At least, for now, Yellowstone’s trap is closed and hunting will shortly cease for the season. If we are blessed, surviving members from the Central herd will stay true to their natal grounds and soon arrive to Horse Butte and surrounding lands to give birth to the next generation.